So, you’re having trouble with your furnace and you have a feeling that you might have an issue with a crack in your heat exchanger. But what is a heat exchanger exactly? How can you tell what the issue is for sure? And what should you do about it? We can help you through this process. If you think you have a cracked heat exchanger, the best practice is to call a professional as soon as possible because a cracked heat exchanger is a serious safety issue. 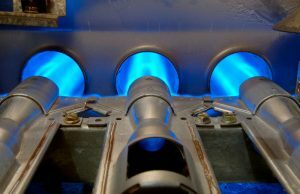 Even though your furnace may seem fine, dangerous gases leaking into your home is a serious detriment to your health and even a potentially life-threatening situation. If you have a problem with your furnace in San Antonio, TX, then contact our team today.